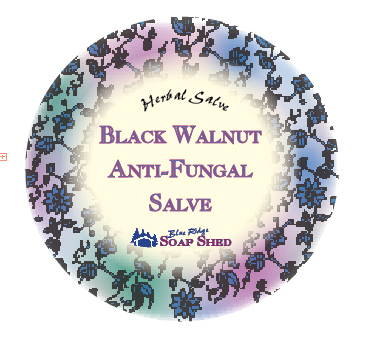 Black walnut is one of the best-known remedies for fungal infections and parasite infestations. Use this all-natural, safe and effective homeopathic topical salve on persistent skin rashes, herpes, ringworm and fungal infections. May be helpful in dealing with Jock Itch and resistant cases of athlete's foot. Soja Oil, Olive Fruit Oil, Black Walnut Leaf and Hull, Shea butter, Tea Tree Leaf Oil, Vitamin E.